Posted on August 14, 2018 by Mat A. Do you ever randomly wonder about different things? Like how long does it take to walk a mile? Or how long does it take for 1 cup of water to start boiling? How about can I shoot a wadded up piece of paper into a trash can from 40 feet away? My mind is probably a bit off but I am constantly wondering things like that. I ride a stationary bike most mornings for about 20-30 minutes. Done it for many years. It’s one of those first thing in the morning habits that gets my day started off right. I always feel sluggish if I don’t bike. When spring is happening I’ll air up my tires on my actual bike and go do that in the morning sometimes. Many mornings when I am biking I see people going by my house either running or walking. Since I was riding for 20 minutes that morning I wondered to myself how long does it take to walk a mile. Just to get it right out there it takes about 20 minutes to walk a mile. This is walking at 3 mph. In general this is about how fast the average person walks at a normal pace. If you use a brisk pace and are fairly in shape you can do 4 mph and the 1 mile walk will take you closer to 15 minutes. If you aren’t in shape, maybe overweight and haven’t really done any exercising it’s going to take you longer than 20 minutes. No matter how long it takes you to walk a mile, there’s a lot of good things that can come from walking a mile. Or 2. Walking is great for a variety of reasons. In a minute we will look at some of the physical and mental benefits of walking. First of all walking is one of the simplest physical activities you can do. You don’t need to be a master in the weight room or learn a martial art. You don’t have to shell out money for a gym membership or pay a personal trainer. When it’s time to roll you won’t have to grab your car keys and waste 20 minutes of time driving to the gym or whatever facility you are paying for. All you have to do is make sure you have a decent pair of shoes and hit the street. Or sidewalk. Or walking trail. Whatever works for you. When I walk it’s usually in my neighborhood in flip flops. Besides being convenient (unless it’s pouring rain) and one of the easiest ways to get exercise, walking gets you outdoors. Being outdoors gets you some fresh air and also let’s you get into your head a little bit. With tons of things in our lives going on all the time, it’s nice to be able to be somewhere without all the head noise. Walking is good for our bodies and our minds. Walking has some great physical benefits. 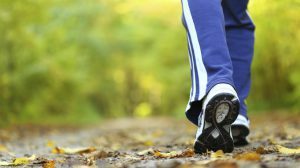 How much walking will impact your level of fitness and potential weight loss really depends on your starting point. If you are in great shape walking is a nice additional way to get exercise. If you are just starting out walking will have a huge impact on your body and can be great at getting some weight loss going. Weight loss: Reference the numbers above. If you are just getting started exercising you should strongly consider walking. It’s a great way to get in the swing of things and can help you take a big step towards losing some weight. Lowered blood pressure: Numerous studies have show that walking can help you lower your blood pressure by as much as 11 points. A 2002 study by the New England Journal Of Medicine found that those who walked 30 minutes a day for 5 days a week had a 30% lower risk of cardiovascular disease than those who didn’t walk. Your pipes work better: When someone has abdominal surgery one of the first things they are supposed to do is walk. This is because walking works out the abdominal and core muscles which in turn helps encourage gastro-intestinal movement. Which helps you move food efficiently through your system. You know what I’m saying here, right? You might live longer – Research has shown that you can add up to 7 years onto your life by exercising regular, regardless of your weight. And if you live longer you can walk further. Just saying. Get better sleep – Researchers found that people who are regular walkers tend to have longer and higher quality sleep. I know that when I am exercising regularly I sleep better. The flip side is also true, when I am not getting regular exercise I don’t sleep as well at night. And we all enjoy some quality sleep. 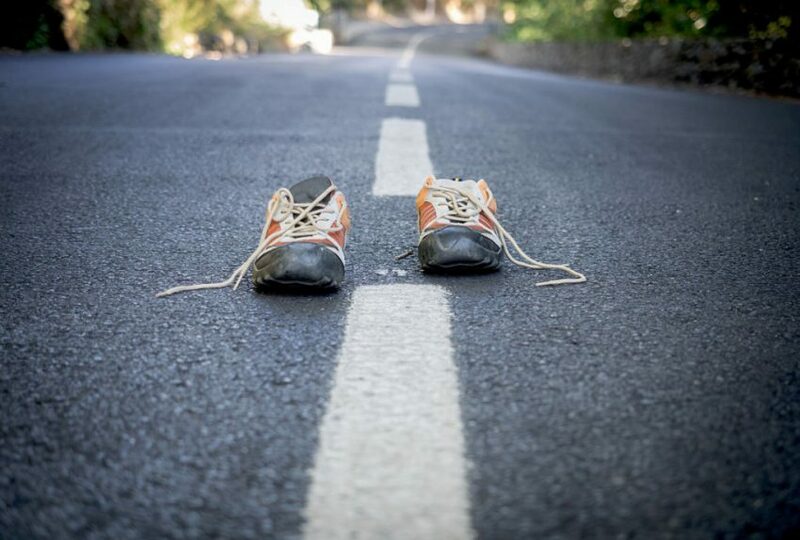 Creative juice flowing – A recent study published in Frontiers in Neuroscience found that walking improved both convergent and divergent thinking. Both of these are associated with enhancing creativity. Personally I’ve had an epiphany or two when I’ve been walking and/or biking. The quiet time in my head brought some things to light. Lower your stress level – Science has shown that walking is one of the fastest and most effective ways to calm down. Walking and moving clears the cortisol, which is a “stress hormone” out of your system. Walking also has a way of clearing some of the worrisome things out of your mind. Improve your relationships – If you walk with another person, whether it’s a friend or a spouse or a child, you get the chance to connect with them one on one. Even better, if you leave your phone at home you don’t have to worry about someone staring at their screen while they walk and you chat with them. Some great conversations can happen when walking with someone. Lift your spirits – You’ll probably balk at this one and I don’t really blame you. A study published in the Archives of Internal Medicine showed that depression sufferers who took a daily walk saw just as much improvement in their symptoms as people on medication. Seems like a stretch but either way certainly worth considering! 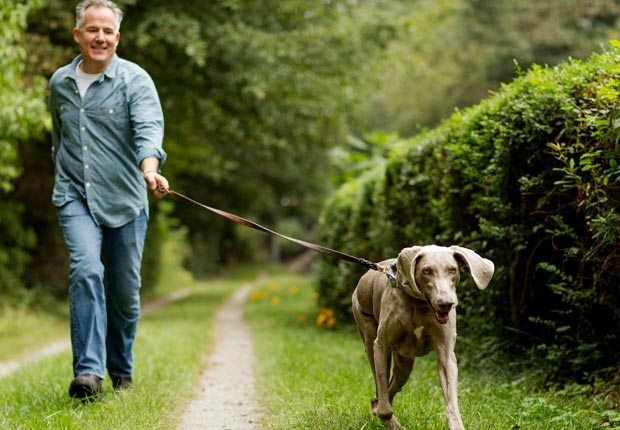 It’s relaxing – Did you know you can meditate while walking? I didn’t either! I’ve never tried it but I think I might give it a go. Even if you don’t meditate while walking it is a relaxing activity. How long does it take to walk a mile? Well, we answered that right away. It takes about 20 minutes to walk a mile. We’ve also reviewed how walking is an easy to accomplish exercise that helps in many areas of our lives. We gain both physical and mental benefits from walking on a regular basis. And not just a few either, a whole slew of benefits await us if we walk. What I personally find even cooler is that walking is so easy to do. You don’t have to train for it. It doesn’t take much time. The price is right and anyone can do it. So what are you waiting for? Hi Mat. This article is a little funny from the start. I don’t think your mind or thinking is off. You’d be surprised the kinds of things the human mind thinks, and hey,only those who are crazy enough to think the can change the world actually can. So back to the matter, I agree that walking is a very good form of exercise, I have a pacer app on my phone and I try to walk a minimum of 6,000 steps daily, and according to your calculations that would be 3 miles. I’d have loved to try biking, unfortunately, I don’t know how to ride a bike. Thanks for stopping by! My mind is always thinking about strange stuff like that. It’s great that you shoot for a minimum of 6,000 steps a day. And I would recommend learning how to ride a bike, it’s a blast!